BLENDER - In less than a minute, you could enjoy any of your favorite, nutritious and delicious recipes anywhere. Comes complete with an Operations Manual for easy use/easy clean and 40 easy to follow recipes for delicious soups, sauces, salsas, dips, porridge, pesto, pates, puddings and baby foods! GRINDER - The Grinder is a small and powerful machine that will freshly grind seeds, nuts, coffee beans or even flax seeds. 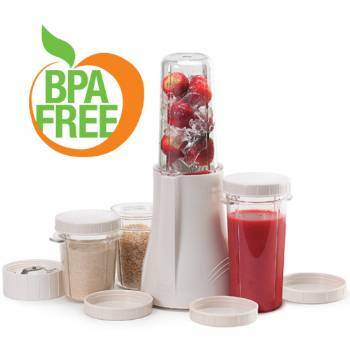 The PB-250 model includes a Grinder package whereas the PB-150 model is a Blender package only. From Pennsy Nadler of NYC, New York on 8/21/2015 .